The Legal Genealogist shares your concern. 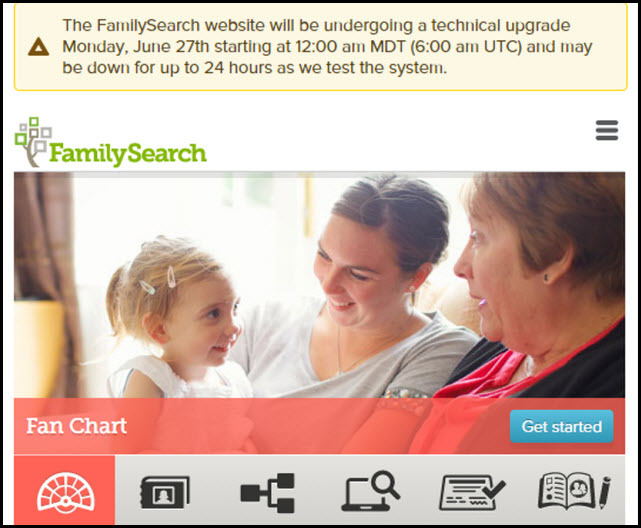 Trust me, I’m having the same trouble you’re having, reaching the FamilySearch website. It really is a planned update and… gulp… we all hope everything will be back up and running. Is the update done yet? Yup, it’s up, not long after the predicted time frame. Users will supply data on whether the changes have worked as the engineers desired. Gulp! I am doing deep breathing, but it isn’t helping! Perhaps something stronger is needed….